One of my favorite holiday memories from my school days on East 91st Street (where I sported a very fashion-forward plaid jumper until age 11) is of browsing the Cooper Hewitt, Smithsonian Design Museum's gift shop in search of exquisite, handmade Christmas ornaments and educational stocking stuffers. To the delight of design lovers everywhere, the 1902 Carnegie Mansion that the Museum calls it home is now the site of a brand new shop full of inventive and wonderful things just in time for the holidays. I spoke with the Retail Director Chad Phillips about the new direction for the shop in anticipation of the Museum's December 12 re-opening, following a widely-praised $81 million renovation project. Phillips brings to the Cooper Hewitt a wealth of knowledge and a well-trained eye from his tenure working for the legendary Moss boutique in Soho, and later Fab.com, and Kidrobot. Museum shops can take a variety of approaches depending on their size and mission. 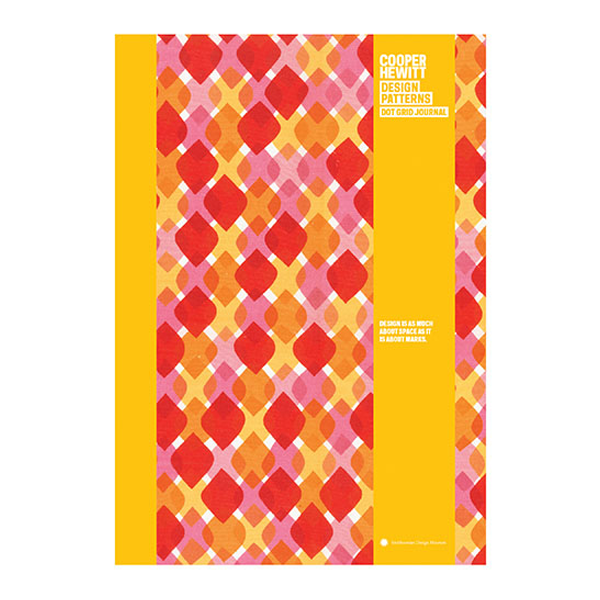 Phillips is in charge of stocking the Cooper Hewitt's shop with products at a range of price points that communicate to visitors and shoppers what the Cooper Hewitt is all about, and generate income to support the Museum's operations. Appropriately, you'll find a roll call of legendary names and objects here, from Dieter Rams and Dietrich Lubs' 1987 ET66 Calculator for Braun, to Pio Manzu's Chronotime Clock for Alessi. 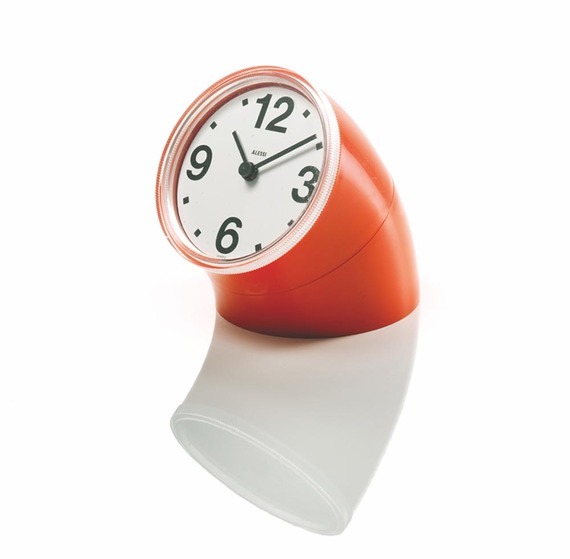 The Chronotime is happily back on shelves after having been discontinued for 45 years; the 1966 design makes the clock face appear as though it's about to be launched forward by a solid orange Slinky toy. 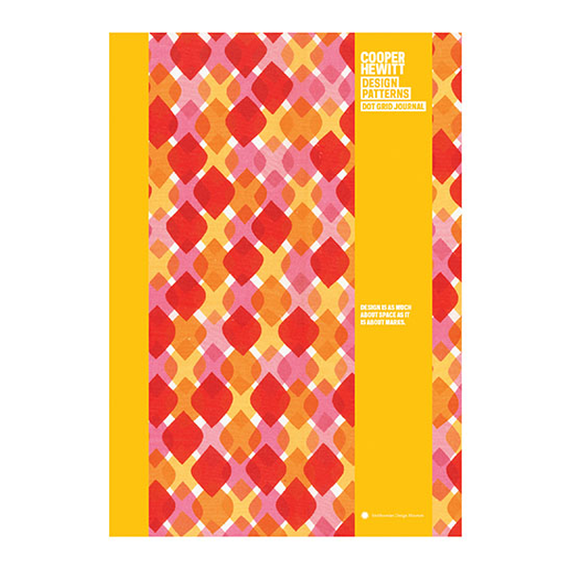 Stationary obsessives like me will also find much to covet: sets of flip pads sporting the cheerful patterns of designers Maija Isola, Kristina Isola, and Maija Louekari for Marimekko, and a special series of notebooks and cards made exclusively for the Cooper Hewitt by Galison feature patterns by Alexander Girard, Donald Desky, and Tommi Parzinger, whose designs are all represented in the Museum's world-class collection. Philips notes that for all the affordable treasures, there are also some very special, investment-quality pieces, such as the Flax Five Light Pendant, designed by Chris Meindertsma for Thomas Eyck, which will run you $1200. The delicate and unusual knotted lighting fixture pays tribute to flax, which was a major industry in the Netherlands for centuries. Devotees of hand-blown glass will be tempted by the Bonnie Vase designed by Ettore Sottsass for Egizia in 1995. 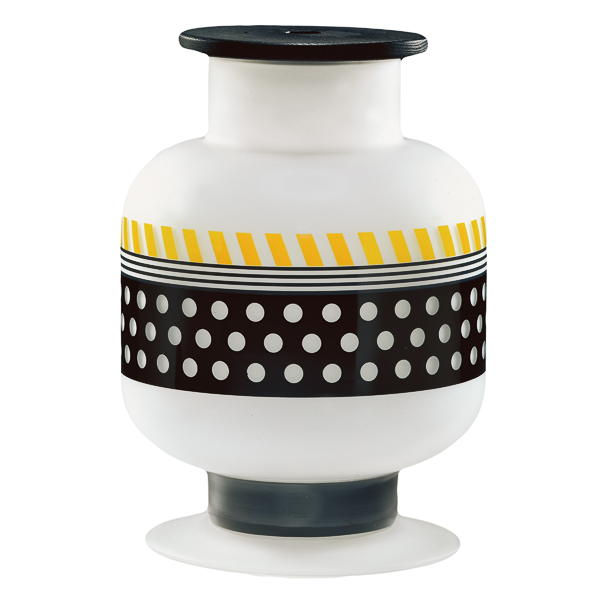 In keeping with Sottsass's signature dry wit and fascination with pop culture, the design of this black, white and yellow vessel hints at the visible printed dots of a comic book. 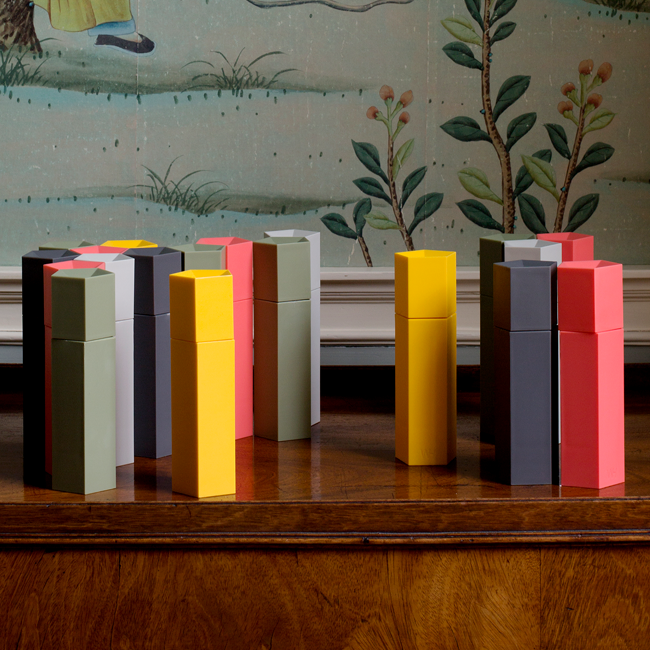 Surrounded by so many delightful objects all day, Phillips has a few favorites of his own, particularly the designs of Aldo Bakker, who happens to be the son of Gijs Bakker, co-founder of the Dutch design collective Droog, and jewellery designer Emmy van Leersum. Aldo Bakker's elegant, ultra-minimal copper candlestick would be a welcome addition to a modernist holiday tablescape, as would his curvy black porcelain salt cellar, and his unassuming Schmoo-like vinegar flask. Design scholar Sarah Lichtman, who was recently appointed Director of the Parsons-Cooper Hewitt MA Program in the History of Design and Curatorial Studies, loves all things Northern European, so it's no surprise that she covets the Red and White Vase by Dutch industrial designer Hella Jongerius. 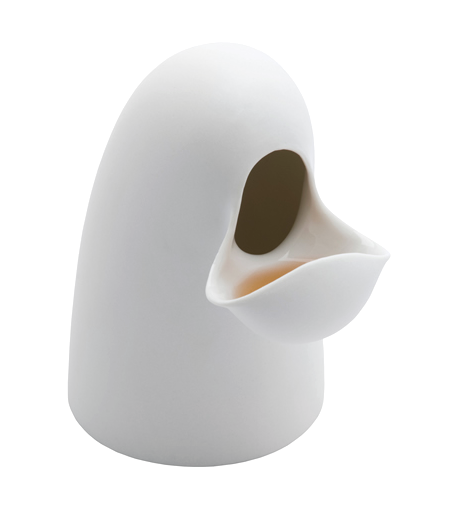 Jongerius designed this vase in 2002 for Royal Tichelaar Makkum, an historic ceramics manufactory in the Netherlands, using forms from 14th century molds. 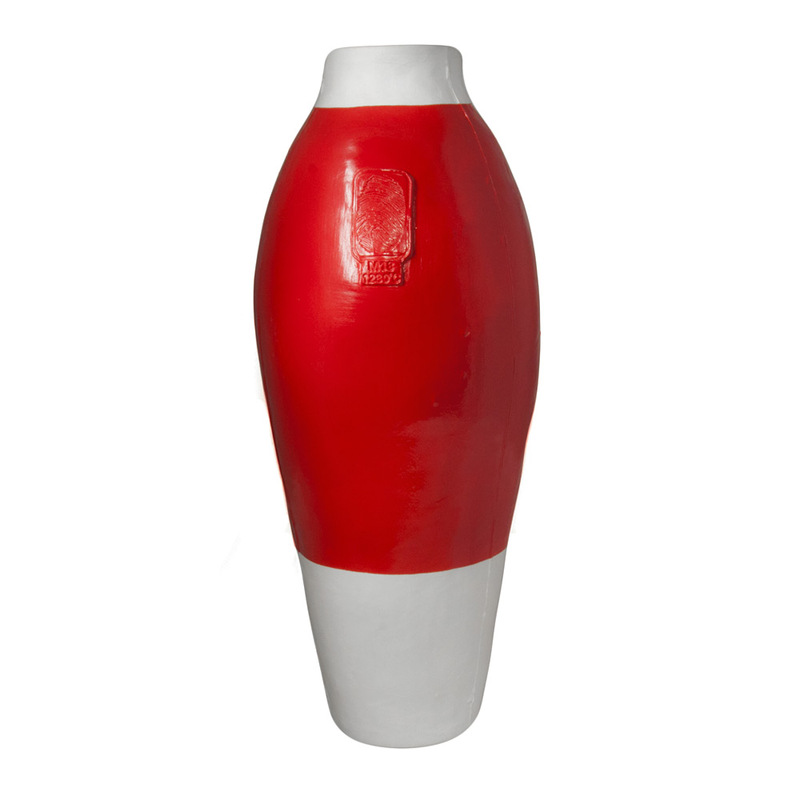 The porcelain vases are then "glazed" with car paint, mixing the very old with the very contemporary, and the hand-made with the machine-made. Museum Trustee Madeleine Rudin Johnson has kitchenware front and center with her top picks: A 1939 pink gravy boat by Russell Wright, and the geometric Ori Pepper Grinder. 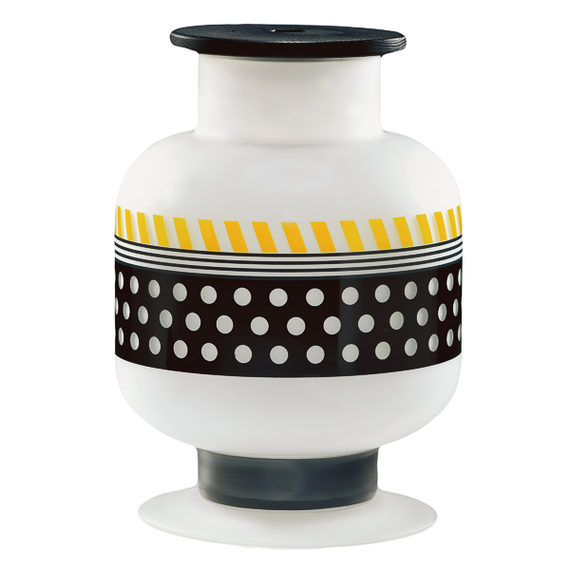 Russell Wright designed the ever-popular American Modern line of dinnerware, which was manufactured by Bauer Pottery, and marketed to middle class consumers who wanted to set a chic table without much fuss. 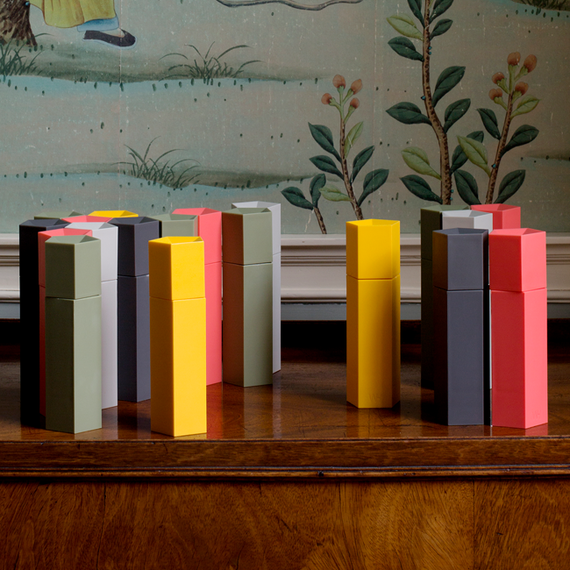 The Ori Pepper Grinder, which comes is army green, coral, and golden yellow, was designed by the Norwegian team of Anderssen & Voll for a Danish company called HAY. Appropriately enough, they look a bit like the big, chunky crayons that become many budding designers' very first art supplies.